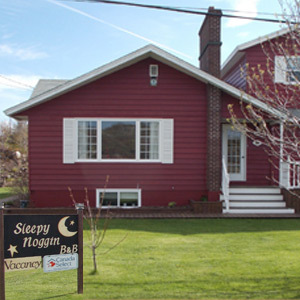 Sleepy Noggin Bed and Breakfast offers all that you will need for your stay in Twillingate with quiet, clean, comfortable rooms and surroundings. 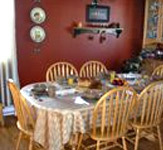 Our friendly hosts are ready to assist you and provide information on walking trails, nearby adventures, iceberg finding, boat tours, places to eat, points of interest, nightly entertainment and more. 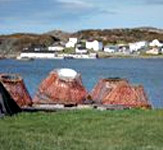 All rooms have ensuites and can accommodate most requirements. 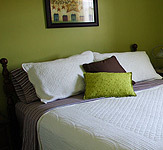 We have a larger room with two double beds, a queen room with an ocean view and a queen room on the main floor. Our establishment is child friendly, allowing no smoking and no pets. We provide parking for all vehicles including covered parking for motorcycles and bicycles.